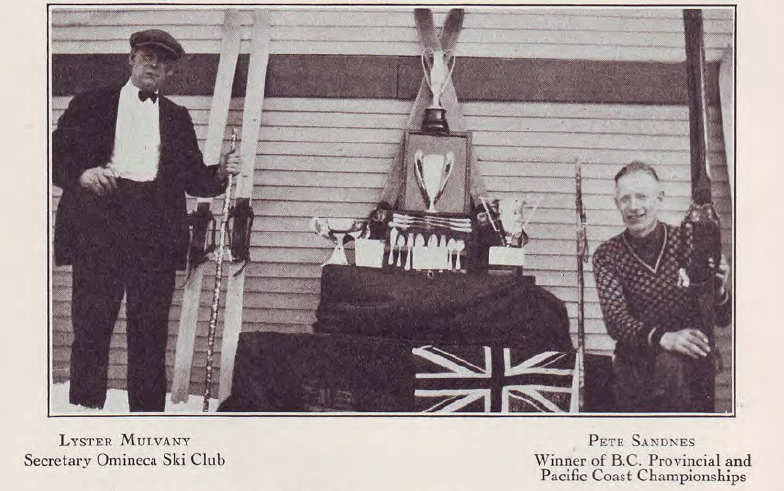 Omineca Ski Club, Burns Lake, B.C. Did you see our trailer playing at the Beacon Theatre last winter? If you enjoyed that, check out the longer video playing on YouTube. We initiated the “Idea Card” in 2018 and have had some great questions/comments returned to us this winter. Check out the results by clicking on this link. Or see them posted on the bulletin board in the Wax Cabin. The Omineca Store is now open! Have you got used equipment you want to buy or sell? 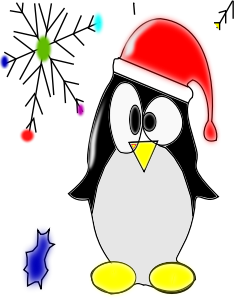 For all of you who missed out ski swap at the Open House – check out our online swap that happens all year long! Just click here for a journey to our equipment swap webpage. The Omineca Ski Club is situated just 6 km south of the Village of Burns Lake in north-central B.C. Our lodge is available to rent for your party, family reunion or meeting. Take advantage of an inside or outside event with a fully equipped kitchen, portable sound system and media apparatus. Take your pooch for some great outside exercise!! This 3.8 km trail is accessed via Gilgan Pit Road (entry is about 1 km south of main club entrance on Hwy 35 – at the top of Hopper’s Hill). There is ample parking at the start of the trail. The Owls are known to haunt the biathlon range winter and summer!! Join them in training sessions and competitions on the range. 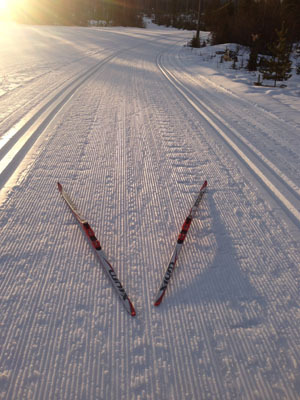 The Omineca Ski Club maintains over 30 km of ski trails of every level of difficulty. The trails, that are also ideal for mountain biking or hiking in the summer, are within our recreation area plus extended trails within the adjacent Burns Lake Community Forest. We have a 1.5 km lit track and a 3.8 km dog friendly trail. We also have two specially designated trails for snowshoeing. Follow this link for a map of our main trails and find some recommendations for routes of various lengths. Join us throughout the year whether it be for a ski, a potluck dinner or a workbee to meet new people and enjoy outdoor activities in a family friendly atmosphere! Whether it’s cross country skiing, biathlon shooting, snowshoeing, walking the trails of the woodlot or just socializing … Omineca Ski Club offers you lots of camaraderie, plenty of fresh air and exercise and many volunteer opportunities. Come on out!! As a common courtesy we are asking that all users of the lodge clean up after themselves when leaving – sweep the floor, wipe the counter, take your garbage and recycling with you and put away all foodstuffs. If we all put in the effort it sure makes it easier for the next person… And please keep your dogs outside. It’s time for our Annual General Meeting!! Join us on Monday, May 6th starting at 1830 hours in the lodge. Help your club by participating in its governance. We need volunteers to fill the empty spots on our Executive – by joining you help to bring fresh ideas and keep the club viable! Submit your resolution by filling in this online form or by printing and sending this pdf form Resolution Form 2019-04-10 to us via mail, email or drop off. Resolutions must be received by midnight, Thursday, May 2nd to be eligible for discussion. At the April 9th, 2018 Executive meeting, a new policy was approved that outlines how we will recognize volunteers and athletes at the Omineca Ski Club. The section on volunteers is new but the section on athletes makes formal what has already been happening. We have created four classes of volunteers: Founder, Pioneer, Builder and Contributor. People must be nominated to be considered for recognition. Athletes will be placed on the Roll of Honour as they achieve a specific level of excellence. The intake for consideration of a recognition of a volunteer is between March 1st and May 1st of any year. We would like to have the recognition made in time for the following Open House in November. concerns relate to insurance and membership support. The Executive has been informed by Cross-Country BC that fat biking cannot be offered as a service and that there cannot be any sharing of trails between skiers and fat bikers. 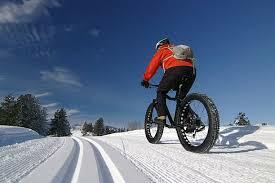 The only exception to the above would be where a ski trail and a bike trail cross each other. This potential scenario could only be realized if a fat biking club is created, obtains its own insurance, seek its own government approval, and works with OSC to build its own trails and/or agree on which trails would be permanently closed to skiers. Other conditions would also apply, including but not limited to, signage and grooming equipment rental fees. Considering this new information, fat biking will continue to be prohibited on all ski trails. We ask all members and club users to respect this decision and help us ensuring that OSC and its members are properly insured. Please note OSC requires CCBC insurance to operate and must abide by all insurance conditions. During the investigation into our insurance coverage with CCBC it was also discovered that snowshoeing was not allowed on ski trails either. This means that we have suspended our snowshoe membership option for the 2018/19 season and will be working on developing trails for snowshoers that only cross ski trails but do not use the ski trails specifically. 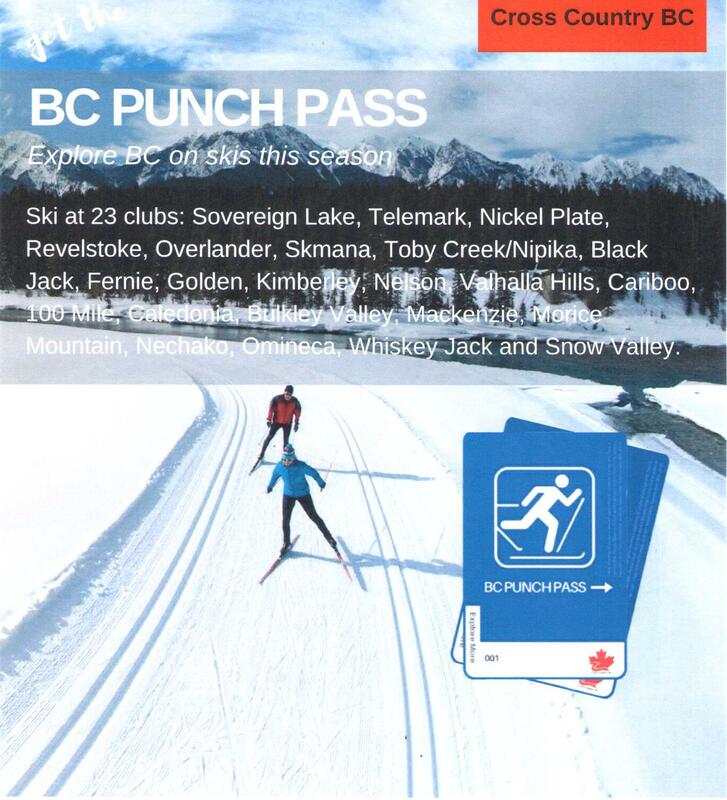 Omineca Ski Club is a participant in the fun of the BC Punch Pass – and our club will benefit from any pass we sell. Consider buying one when you purchase your club membership on Zone4. You can try skiing at any of 23 participating clubs across the province at a reduced rate – plan your winter trip!! Best of all, the pass is transferable. If you want to buy a Punch Pass and have already got your membership you can still do it! Just go back to our page on Zone4 and sign up. You will not be charged any extra CCBC/CCC fees. Browse our newsletter for November 2018. The Open House has come and gone but the ski season is ready to start! We turned 90 years old in 2017 but we are still young at heart!. Help us build the Omineca History by submitting an old picture and the story that goes with it.